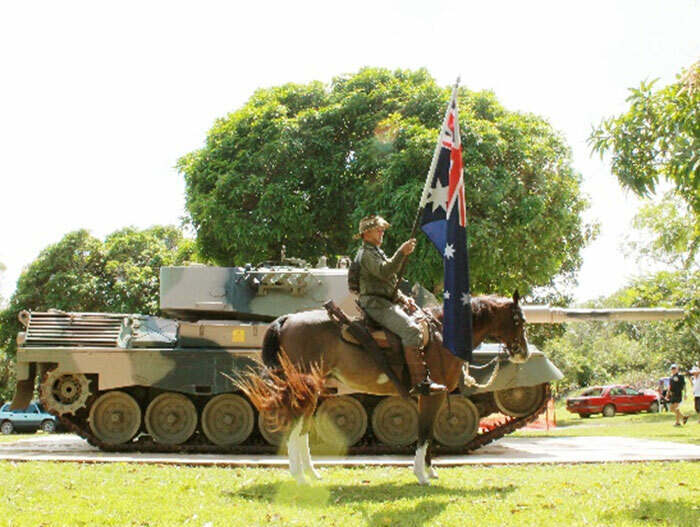 The Cooktown RSL buried a time capsule at Grassy Hill almost forty years ago and there’s much local speculation and interest in its contents on this significant anniversary of the First World War. The milestone of the Anzac Centenary prompted the RSL to open the time capsule as part of their 2015 Anzac Day dawn service. 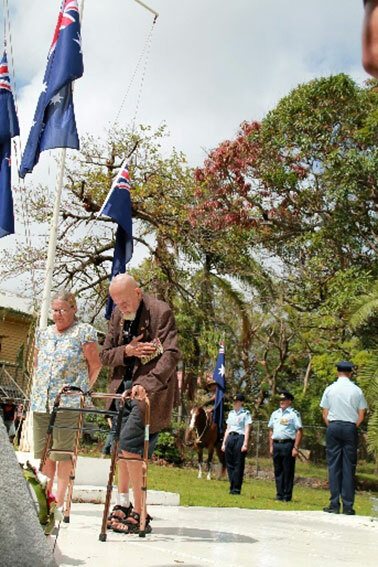 As well, the Cook Shire Council and the RSL (Cooktown sub-branch) planned a 30 kilometre ‘remembrance walk’ the week before Anzac Day. 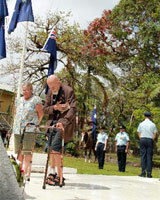 The purpose of the walk was to acknowledge the many lives in the community that were changed by the war. There were 180 walkers, one for each of the 180 local men who joined up for the First World War, and each participant proudly wore the name tag of a local soldier who went away to war. At the time, Sally Eales was the Tourism and Events Officer with the Cook Shire Council. She believed these two activities were a fitting tribute to the men who sacrificed so much and hoped the walk would become an annual event. 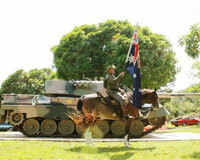 The time capsule and remembrance walk also complemented Cooktown’s historical society’s own tribute to the Anzacs, an exhibition called Behind the Lines which opened on Anzac Day 2015. What price is a life?